Who is the longest continuing clockmaker in the USA? Seth Thomas Clocks is America's Oldest Continous Clockmaker, having continuously manufactured clocks in the USA since 1813. Seth Thomas was founded in Thomaston, Connecticut, which at the time of its founding was known as Plymouth Hollow. Plymouth Hollow renamed the town Thomaston in honor of Seth Thomas the individual and the Seth Thomas Clock Company. 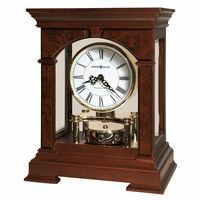 In the Company's earlier years Seth Thomas Clocks was a fairly sizeable maker of grandfather clocks and grandmother clocks, which as this is written, are no longer part of their product line. How high does TIME rank in noun popularity in English? In June of 2006, the Oxford Dictionary cited the word "Time" as the most often used noun in the English language. Here is the story: LONDON (June 21, 2006) - For those who think the world is obsessed with "time," an Oxford dictionary added support to the theory Thursday in announcing that the word is the most often used noun in the English language. "The" is the most commonly used word overall, followed by "be," "to," "of," and, "a," "in," "that," "have," and "I," according to the "Concise Oxford English Dictionary." On the list of top 25 nouns, time is followed by other movement indicators with "year" in third place, "day" in fifth and "week" at No. 17. The dictionary used the Oxford English Corpus -- a research project into English in the 21st century -- to come up with the lists. Among nouns, "person" is ranked at No. 2, with "man" at No. 7 and "woman" at No. 14. "Child" appears at No. 12. "Government" appears at No. 20 while "war," at No. 49, trumps "peace," which did not make the top 100. The list of top 25 nouns: time, person, year, way, day, thing, man, world, life, hand, part, child, eye, woman, place, work, week, case, point, government, company, number, group, problem, fact. Big Ben keeps track of -- what else? -- time in London. 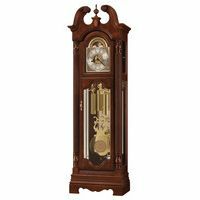 Where and how did the Grandfather Clock get its name? What role did the famous Grandfather Clocks song play in this? [Did Seth Thomas Clocks or Howard Miller Clocks have anything to do with it?]. When were the first grandfather clocks invented? How does this relate to the time periods when sundials, pocket watches, the hourglass and other timepieces were introduced? Can you tell time by a Ships Bell Clock (currently made by Chelsea and Howard Miller Clocks)? YES. With a Ship's Bell Clock (or Ships Strike Clock), you can hear the time. You do not need to SEE it. However, the clocks strike using the time-honored military and nautical traditional chiming system. There are Eight Bells at 4:00, 8:00 and 12:00 o'clock. All the hours strike on even numbers, and the half-hours on odd numbers. The following sequence is followed: 4:00 - 8 Bells, 4:30 - 1 Bell, 5:00 - 2 Bells, 5:30 - 3 Bells, 6:00 - 4 Bells, 6:30 - 5 Bells, 7:00 - 6 Bells, 7:30 - 7 Bells, 8:00 - 8 Bells, 8:30 - 1 Bell, 9:00 - 2 Bells, 9:30 - 3 Bells, 10:00 - 4 Bells, 10:30 - 5 Bells, 11:00 - 6 Bells, 11:30 - 7 Bells, 12:00 - 8 Bells, 12:30 - 1 Bell, 1:00 - 2 Bells, 1:30 - Bells, 2:00 - 4 Bells, 2:30 - 5 Bells, 3:00 - 6 Bells, 3:30 - 7 Bells. 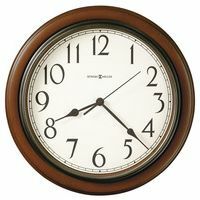 IT IS WORTH ALSO NOTING that many clocks which are nautical or marine in style still have the more traditional time and strike movement, or the option of one vs. the other. In addition, many Ships Clocks are time only with no strike capability. Is giving a clock considered either good luck or bad luck in parts of China? Are Howard Miller and Herman Miller related to each other? Why do we have daylight savings time, and when was it introduced? How much energy (vs. with electricity and quartz with batteries) do I save every year by having a keywound windup clock which uses a fully mechanical movement? How would that translate into savings on my electricity bill or environmental impact on the ozone layer and global warming? Any questions you would like us to add and answer on this web page?